All in One Services was established in Oxford in 2010 as a professional cleaning company. The consistent provision of efficient and high standard services made our company the most reliable cleaning company in the area. In 2015 we expanded the business to include property maintenance services, such as domestic and commercial refurbishment and decoration, electrical repairs, gas and heating service installation, waste disposal, roof service and repair, glazing windows and doors replacement. In addition to our full range of services, we offer ongoing building maintenance to private properties, letting agencies and large commercial organisations. Building & Plastering - Our team provides a broad range of skills which cover all aspects of building, maintenance and renovation, including domestic and commercial refurbishments. Roofing - Our team produces the finest in traditional and contemporary carpentry and joinery. We offer supply and installation service. Electrical - Our highly qualified team of electricians provides all range of services and Part P Electrical Safety Inspections/ certifications are available for property owners including landlords. Plumbing & Gas/Heating - Experienced engineers ready to repair your heating and plumbing system. We also supply and install bathrooms and Central Heating Systems. Gas Safety inspections/certifications also available. Interior Design & Decoration - Our skilled team of painters and decorators are specialised in techniques to produce traditional and contemporary finishes. Flooring - We supply and install all floor coverings for both domestic and commercial sectors. Disability Aids & Adaptations - We provide disability adaptations and installations for the domestic, commercial and social sectors. Gardening Services - All aspects of gardening from complete design and landscaping to general maintenance and lawn care. Including maintenance, cross cutting and felling trees. 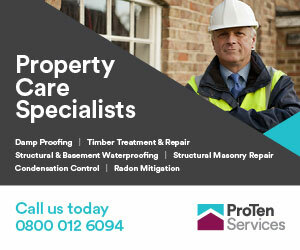 Skilled, multi skilled tradesmen and approved contractors. Ensurance of your property is maintained with the minimum of disruption to you and your clients and customers.